What better way to enjoy a FUN vacation than with a cruise with friends? With JADAR Travel & Cruise we make it FUN and easy to have the best cruising experience ever! And, now, you can get the best of both worlds! You can help your friends, or whoever, get the best cruise deal and gifts, PLUS, you get to earn CASH back towards your cruise when they book. 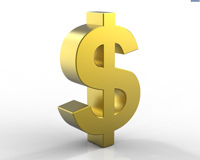 Refer enough friends and you can earn enough ca$s to make your own cruise absolutely FREE! What are you waiting for? REFER A FRIEND TODAY! On completion of your eligible cruise, we send you cash accumulated on valid completed referred cruises. We know how important FUN cruise vacation can be, so why not book with JADAR Travel & Cruise and make sure to share the FUN with your friends and relatives and earn DOLLAR$ towards a FREE cruise everytime! After you complete a cruise booked with JADAR Travel & Cruise, we will send you an invitation to complete an optional short survey so you can tell us about your cruise experience (we may use your favorable comments in marketing materials, so, by completing the survey, you are agreeing to have your comments, first name and city/state location used, without any promise of any compensation or incentive). To say THANK YOU for completing the survey, and if you are a JADAR Travel Club member with a JTCN, at your request, we will send you a $50.00 coupon redeemable on any future cruise booked with JADAR Travel & Cruise within 18 months of the surveyed cruise. Please note: coupons are void where prohibited or taxed, is not transferable, has no cash value, so is not redeemable for cash. Coupons expire 18 months after issue date if not applied to an eligible cruise. Coupons may be applied only towards the cruise only portion of a cruise fare booked exclusively with JADAR Travel & Cruise. Other restrictions may apply. Ask your Cruise Buddy for information. 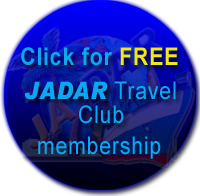 JADAR Travel & Cruise is an Independent Associate of Traverus Travel Network. Site maintained by L2 Resources, Inc.